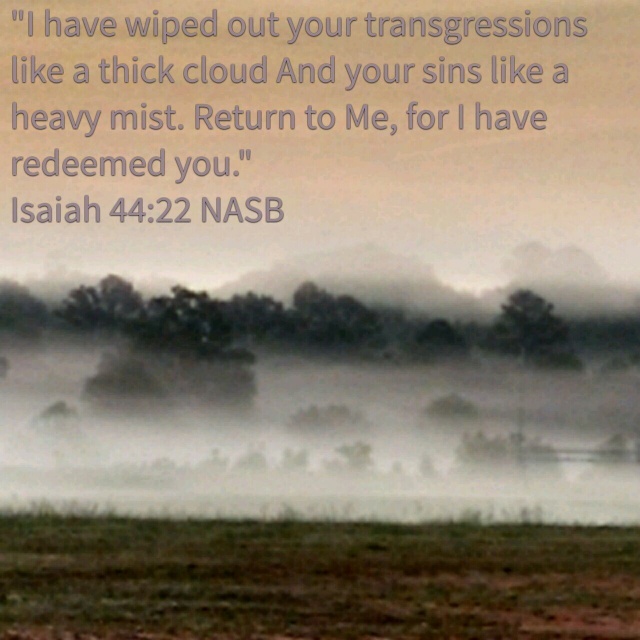 Here is YouVersion image I made using a surreal picture of fog I took this morning. The verse is from Isaiah 44 wherein Abba is calling His people back to His everlasting unchanging ways. Today, that call goes out to Christendom. The Redeemer desires that we walk as He walked! If my Messiah kept Sabbath, Feasts and ate clean and was righteous, why would I not do those things? This entry was posted in Visual Scripture and tagged ancient paths, fog, Isaiah 44, photography, redeemer. Bookmark the permalink. Nice photography. See you on Shabbat.